Research activities in Dr. Wang's goup are supported by various sponsors inclusing NSERC (Disocvery, Idea to Innovation, CRD), Canada Research Chairs, Ontario Centres of Excellences, Canada Foundation for Innovation, industrial partners and the Canadian Defence sector. Dr. Wang currently supervises 17 researchers at Western, manages more than 10 research projects and leads the Innovation Centre for Information Engineering and Laboratory for Emerging Communications Systems, which is supported by Canada Foundation for Innovation (CFI). One current research theme in the group is the development of dynamic transmission technologies to support smooth ubiquitous communications in the presence of dynamic electromagnetic interference, network traffic and user demand conditions. 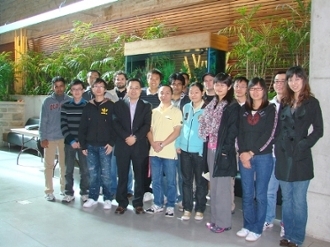 Dr. Wang and six researchers under his supervision have developed several responsive transmission techniques, which follow-up with real-time variations. Another aspect of Dr. Wang’s current research program is spectrum and battery power efficiency, and improved mobile communications. Traditional wireless systems are often designed statically, which leads to extremely low spectrum and battery power efficiency. Channel prediction-based power control, location-based network management and spectrum-efficient transmission schemes have been developed to address the difficulties associated with traditional communications systems. Several DSP/FPGA prototypes have been developed to verify these technologies, and several industrial partners have been engaged for commercialization purposes.